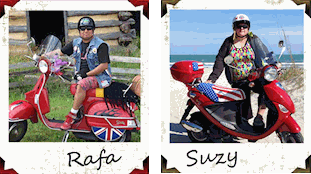 Our backrest covers are a great way to spruce up your topcase and perfect if you want to coordinate with one of our Vespa LX seat covers! 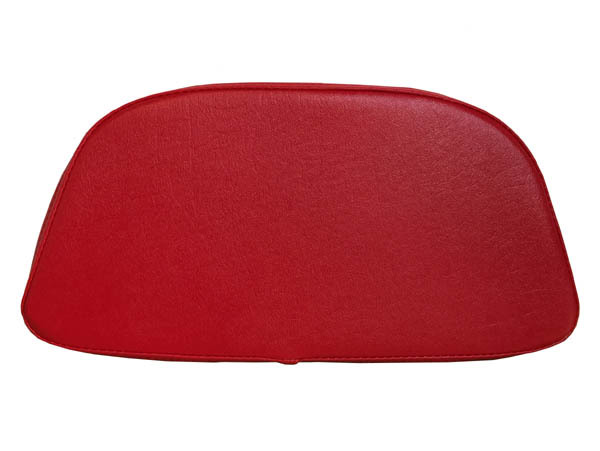 Hand tailored in a bright Dragon Red marine grade vinyl, this backrest cover has the texture, feel and soft shine of leather. It is waterproof and UV stabilized, meaning it will not fade. You will have to unscrew the backrest from inside the top case, attach the cover and screw it back on. You might need a longer screw to attach the backrest securely. Please make certain the back rest is securely attached before taking off for a drive! 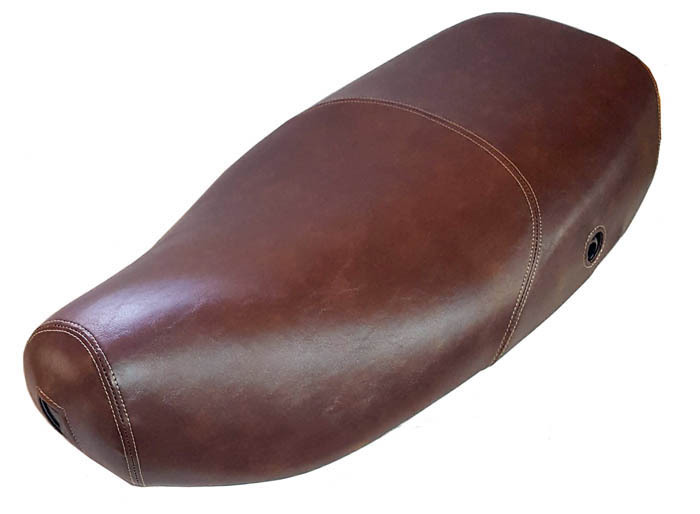 We can make a matching backrest cover for any seat cover design you see on our website!